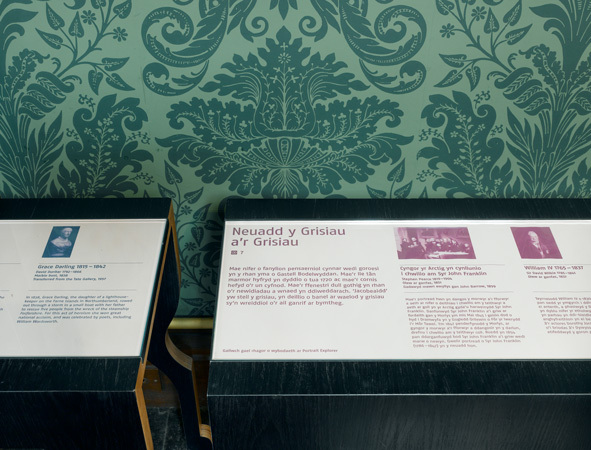 The design of dual-language wayfinding and interpretation for National Portrait Gallery outpost Bodelwyddan Castle, North Wales, 2008. 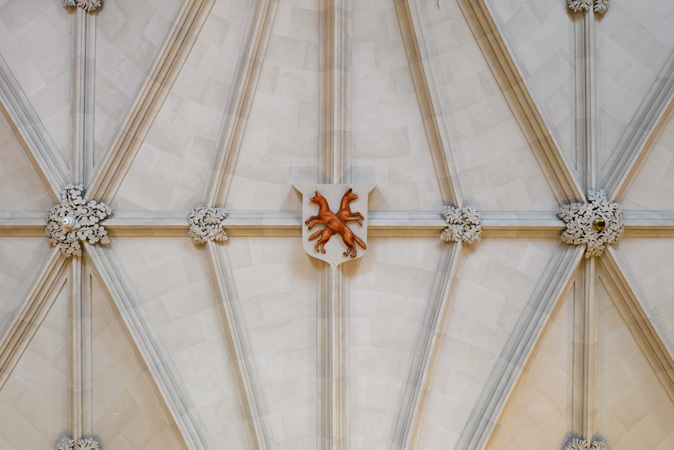 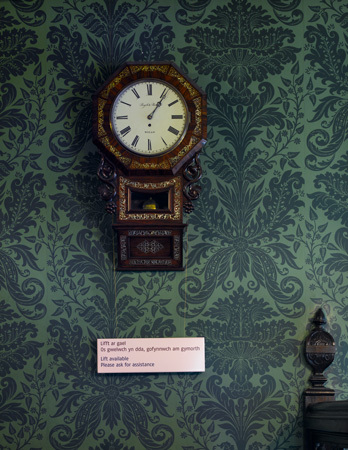 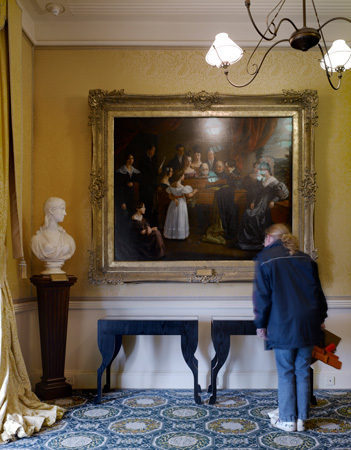 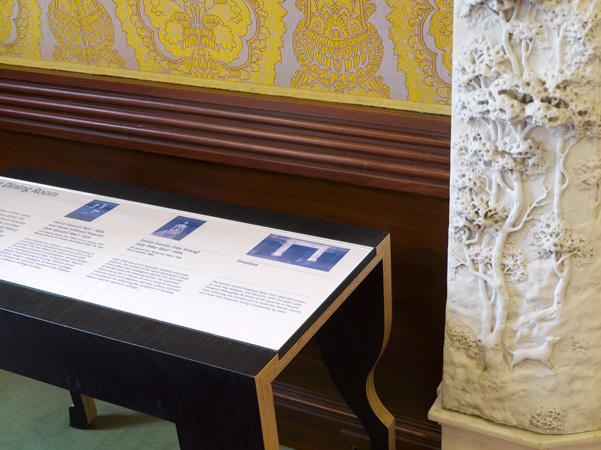 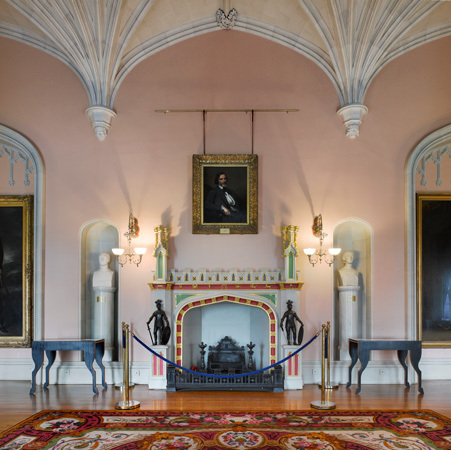 A sensitive solution that has drastically improved site orientation and visitor experience of the convoluted series of period rooms where NPG portraits are hung. 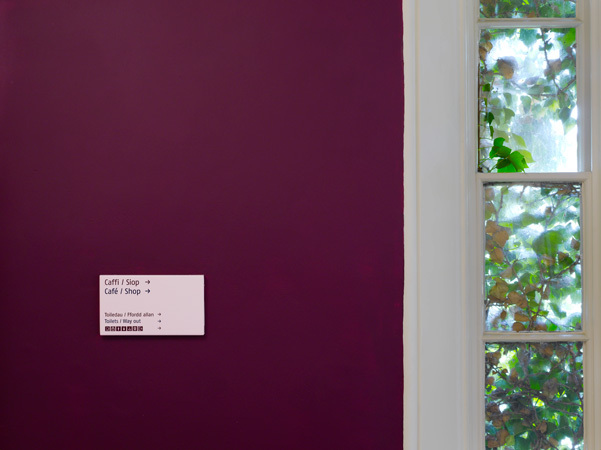 Pink, a masculine colour in the 19th century, ensures good visibility without the signs appearing alien to their Victorian setting. 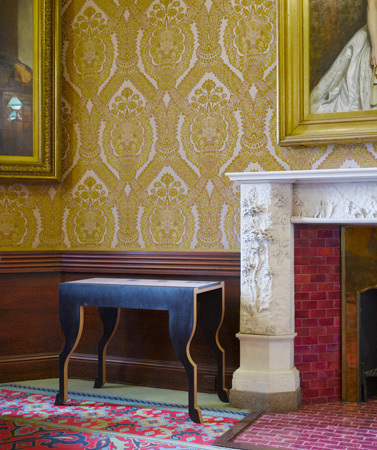 Freestanding side tables carry wheelchair-accessible interpretation in each room – the design of these makes subtle reference to the crossed-foxes crest of the former lords of the manor.